The Utah Justice Reinvestment Initiative has significantly impacted the way drug-related criminal cases are handled in Sanpete County, but authorities say the program has a long way to go before its working the way it should be. EPHRAIM—Without trailer park owner David Strate in attendance, the Ephraim City Council gave preliminary approval of a mitigation plan for correcting health and safety hazards at the JD Trailer Park and set a deadline of April 19 for work to be completed. In a 30-minute work meeting prior to the regular meeting, the council focused on reports from Power Department Director Cory Daniels and Public Works Director Chad Parry detailing the repairs already completed by contractors hired by Strate. City Manager Brant Hanson reviewed the reports, saying he and the city staff had met several times with the contractors Andy Cox, an electrician, and Jared Anderson, a plumber. Based on the reports from those meetings, the trailer park had addressed “90-95 percent of the issues,” Hanson said. The remaining issues fell on the trailer owners, not the park owner. Daniels reported that in his meetings with Cox, all of his health and safety concerns with the park’s electrical systems had been addressed. He admitted to having some further concerns but said those could wait until warmer weather arrived. Parry addressed the council, reporting on his meetings with Anderson. Parry felt that the proposed solutions from Anderson satisfied his concerns. He even stated that he thought the solutions would save the trailer park “a ton of money” that could pay for the repairs. Parry stated that Strate has committed to the repairs and would be responsible for the costs. Hanson stated that he had been trying to meet with Strate to ascertain his willingness to finish the repairs. However, Strate could not meet with Hanson before the council meeting because of illness. At the regular meeting, the issue became when all of the repairs could be completed. The council again heard from Daniels and Parry, and also from Jared Anderson. After the city staff directors had reiterated that they were satisfied with the efforts of the contractors, they addressed how long the repairs would take. Daniels, speaking on behalf of Cox, said the electrical repairs would be done before April 1, noting that remaining repairs would need the ground to thaw before they could be completed. Anderson stated that he was glad to meet with Parry, and that they were able to come up with a plan to satisfy the city jointly. He also said that April 1 should be enough time for him to finish his repairs, although he felt that he should finish up before then. Council member Tyler Alder stated, “Sounds like we’re making progress.” However, Councilwoman Marge Anderson said that she wanted a signed plan from David Strate committing to completing the repairs already begun. Scott proposed a motion to accept the mitigation plan from Strate and set a deadline of April 19 (the time of the city’s second regular April meeting) for all repairs to be completed. The approval would be contingent on Strate presenting a written plan within two weeks, and the council approving it. The motion unanimously passed. Connie Hill, with the Utah Coalition of Manufactured Homes, Inc., confirmed that the organization was no longer interested in purchasing the JD Trailer Park, although it might be interested in the trailer park on Main Street. The U.S. Federal Aviation Administration (FAA) has changes planned for the airspace above the Manti-Ephraim Airport. The agency is proposing to classify a 4-mile radius of airspace, beginning at 700-feet above ground level, as Class-E airspace. Pilots using the airport may have to change some of their flight habits. 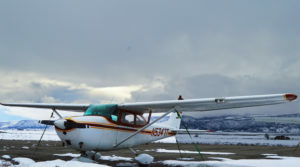 MANTI—The Federal Aviation Administration (FAA) is proposing a change in the airspace designation above the Manti-Ephraim Airport, which may require pilots to adjust their flight habits. The proposal would establish a “Class-E” controlled airspace above and around the airport. “The FAA is developing instrument flight procedures to increase aviation access to Manti-Ephraim Airport for properly equipped and certified pilots,” says Tom Clark, FAA airspace and procedures specialist. IFR and VFR are the two rule sets that govern civilian aviation. It is possible, in relatively clear weather, to fly a plane by referencing visual cues, such as the horizon to maintain orientation, nearby buildings and terrain features for navigation, and other aircraft to maintain “separation.” That is VFR. When operation of an aircraft under VFR is not safe because weather or darkness obscure the visual cues, pilots must use IFR instead. Using navigational aids like GPS and other instruments, IFR pilots must create a detailed flight plan covering departure, en route flight and arrival. “In laymen’s terms, the new airspace and procedures would support properly equipped and certified pilots wishing to access Manti-Ephraim Airport while navigating via instruments versus using only visual cues,” said Clark. The Manti-Ephraim Airport currently has no specific airspace designation, says Clark. That made its airspace essentially uncontrolled from ground level to 1,199-feet. The proposed change will lower the point where the controlled Class-E airspace begins above the airport. The new Class-E airspace designation would extend upward from 700 feet above ground level within a 4-mile radius of the airport, with segments extending from the 4-mile radius to 11 miles southwest and 7.2 miles northeast of the airport. The southwest and northeast segments are above the two ends of the runway. “This helps to protect those pilots operating under IFR by ensuring those flying visually will be able to see and avoid IFR aircraft,” said Clark. Clark says that the proposed change means pilots flying at or above 700 feet above the land surface within the proposed airspace will be required to maintain at least 3 miles of flight visibility and a specific distance from clouds. On Monday, the FAA reopened the commentary period for the proposal until Feb. 22. Send comments on this proposal to the U.S. Department of Transportation, Docket Operations, 1200 New Jersey Avenue SE., West Building Ground Floor, Room W12-140, Washington, D.C. 20590. Telephone numbers are (800) 647-5527 or (202) 366-9826. You must identify FAA Docket No. FAA-2016-8164; Airspace Docket No. 15-ANM-25, at the beginning of your comments. You may also submit comments through the Internet at http://www.regulations.gov. MANTI—Logan McFarland, the suspect in the murders of LeRoy and Dorothy Fullwood of Mt. Pleasant, was scheduled for court yesterday to enter a plea that could resolve the case. The hearing was scheduled after the paper went to press this week. McFarland entered a plea of “not guilty” in September of last year. If he enters a different plea from the one already entered, his options are “guilty” or “no contest,” both of which would make him responsible for the murders, which happened just before New Year’s in 2011. McFarland is facing six felony charges, including two counts of aggravated murder. McFarland tried to rob the Fullwood household to get money for drugs. The robbery apparently went badly, and authorities say McFarland shot the Fullwoods to death during the botched crime. 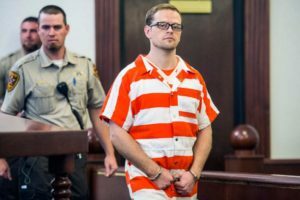 Sanpete County Attorney Brody Keisel has said repeatedly he was aiming for the death penalty for McFarland, which led to the State of Utah assigned McFarland two death-penalty- qualified attorneys. Is the death penalty off the table if McFarland pleads guilty? What this new entry of plea means for the case will be reported in our next issue. New Snow College head football coach Paul Peterson speaks to the football team after being introduced by Rob Nielson, director of athletics. 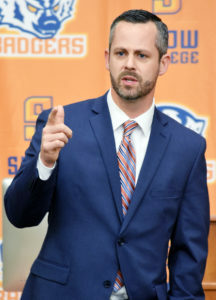 EPHRAIM—Snow College has named Paul Peterson, an alum and former Snow coach as the head coach of the Badger football team. Snow College Athletics Director Rob Nielson announced the appointment Monday. Later in the day, Peterson met with the team. Peterson will begin working for Snow immediately. He replaces Britt Maughan, who resigned to pursue other coaching positions. “We are excited to welcome Paul back to Snow College,” Nielson said. “He returns with a wealth of playing and coaching experience at the collegiate level, as well as the passion to lead our football program. “My wife and I are excited to return to Snow College,” Peterson said. “We owe a lot to Snow. This is such a great opportunity for us to give back to such a wonderful place. During the past five years, Peterson has been offensive coordinator and quarterback coach at Sacramento State University. He also has experience coaching at Southern Utah, North Carolina State, BYU and Snow College, where he was quarterback coach in 2005. Peterson says he and the Badger football team are committed to becoming champions in all that they do. “We will be champions on the field by playing tough, hard-nosed football,” he said. “We will be champions in the classroom and on campus by being good examples, by sitting in front of the class, by participating and being active in campus events. Peterson says he intends to see that the Badgers are champions in the community by being good citizens and by connecting with the community to show their appreciation for all the support they receive. During his stint as at Sacramento State, Peterson contributed towards some of the best numbers in school history. The 2014 team set or tied nine single-season records, including total points (458), points per game (38.2), touchdowns (60) and total yards (5,780). Sacramento State quarterback Garrett Safron (2011-14) rewrote the school record book during his three years under Peterson. Safron amassed 9,713 passing yards with 86 career touchdown—36 more than the previous record. Under Peterson’s watchful eye, Safron was able to combine his natural running ability with his passing and finished his career with 11,619 yards of total offense. His 2014 average of 353.4 total offense yards per game led the NCAA Football Championship Subdivision. In four years at Southern Utah, Peterson coached the Thunderbird quarterbacks and wide receivers and was also the passing-game coordinator. During his tenure, he coached three of the most decorated QBs in Southern Utah history. During college, Peterson played quarterback at Boston College where he led the Eagles to a pair of bowl victories and was named MVP in 2004. He was a two-time Big East Conference Player of the Week and was the MVP of the Continental Tire Bowl. Off the field, he was a recipient of the Boston College Senior Leadership Award and was named the 2005 Boston College Person of the Year. Before attending Boston College, Peterson was a JC Gridwire All-American and honorable mention Academic All-American as quarterback at Snow College. As a sophomore, he led the nation in passing yards and touchdowns. After playing college ball, Peterson played for the Ottawa Renegades of the Canadian Football League. His coaching career began at his alma mater, where he spent 2005 as Badger quarterback coach. That season, he helped guide the Badgers to a 9-2 overall record, a No. 8 national ranking and a bowl victory. In 2006, he transferred to BYU to work as an offensive graduate assistant. That season, the Cougars were 11-2 and finished the season ranked 15th nationally after winning the Mountain West Conference and the Las Vegas Bowl. Peterson spent one season (2007) at North Carolina State as a defensive graduate assistant under Tom O’Brien, his head coach at Boston College. Peterson graduated from Boston College with a degree in management and added a master’s in coaching/athletic administration from Concordia University through an on-line program. He is married to the former Meagan Davies, who is also a Snow College alum. The Petersons are the parents of five sons, Owen, Mack, Cal, Emmett and Levi. MANTI—A representative from the U.S. Forest Service (USFS) updated the Sanpete County Commission last week about projects planned for 2017 in Sanpete County. Austin Hiskey said the primary project for 2017 wouldl be to improve several of the Arapeen off-road trails in the county. The USFS will widen the trails from 50 inches to 60 inches. The trails are already wide enough to accommodate 60-inch vehicles; the main improvement will be to widen the “pinch-points” at the beginning and end of the trials. Hiskey indicated that this would be a multi-year effort. The USFS feels that off-road vehicle design is trending to the 60-inch design, and improving the trails to accommodate such vehicles will be responsive to forest visitors. Many 60-inch vehicles are already using the trails illegally, and thus the improvements will ease concerns over illegal usage. Commissioner Scott Bartholomew “concurred” with that assessment. The USFS plans a timber sale, as in past years. The sale is for dead standing spruce trees, known as a “salvage sale.” The timber can be gathered from locations across the county, but will mostly be in Fairview Canyon. The Six-Mile Canyon Hydro Plant project is progressing. Plumbing and power lines are in place, and Hiskey stated that he hoped the plant would be operational by the end of winter. Work on the Ephraim Tunnel has halted for the winter and will resume as soon as the ground thaws in the spring. An environmental impact statement (EIS) has been completed for the proposed power line to transmit energy from wind farms in Wyoming to Southern California. One of the proposed routes for the power lines would run near to northern Sanpete County. In response to a question from the commissioners, Hiskey stated that the recent designation of the Bears Ears National Monument probably will have some effect on the Manti-LaSal National Forest Plan Revision, from the stand-point of all the paperwork and staff time it will take to deal with the new designation. Hiskey directed interested persons to the Manti-LaSal National Forest web-site for information regarding the Bears Ears monument. The commissioners heard a request from Wayne Larsen, Ilene Roth and Reed Hatch to increase the fee for digital copying of the Sanpete tax roll. Larsen, Roth and Hatch argued to the commissioners that the current fee ($400) did not reflect the true value of the information. 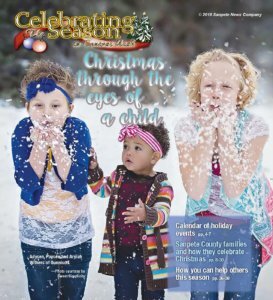 They proposed that the county charge $0.25 per parcel, which would result in a charge of $7,506 as of the last count to anyone wishing to have a digital copy of the entire roll. County Attorney Brody Keisel objected, saying, “This will put us in court, and we will lose.” He explained that Utah statutes allow counties to charge a “reasonable fee” for such records, but only if it involves work not already done as part of the county’s regular obligations. A county cannot charge for the value of what are public documents. Keisel stated that many counties do not charge anything for providing such copies. Larsen admitted that it took 15 minutes for a clerk to collect the records and email them to a requester. The commission left the fee at the current amount. MANTI—Manti City Council heard an audit report during their meeting last week, along with updates on local code enforcement and some upcoming cooperative projects the city is considering. At the meeting which took place on Wednesday, Jan. 18, Gary Keddington, financial advisor for Manti City gave a report on the 2015-2016 audit for the fiscal year which ended June 30, 2016. There were only two findings which Keddington says were minor and easily rectified. One was escrow accounts that were supposed to be reported to the state, were, up until now, not. The other finding was in regards to posting monthly public meeting minutes to the Utah Public Information website within three days of approval. Reportedly, the city does fulfill that requirement often but in a couple of instances the minutes were not uploaded in the required time frame. Mayor Korry Soper assured the auditor that the city would henceforth upload the minutes on time. Soper also committed to making sure the city complied with the escrow account reporting requirements. On another matter of business, Mike Tillack reported that the total stray dogs picked up had lessened from 2015 to 2016. Last year there were 74 orange tags cautioning residents about removing old cars and debris from city property and other nuisance violations. Tillack said that citizens are taking those tags serious and only two citations were issued, which he says is a vast improvement over past years. The shot/licensing clinic will be held Feb. 25, which is the day that dog licenses are due. At that time there will be notices posted about the increased fees for repeat offending owners of stray dogs. A discussion took place regarding possible action regarding Manti City Dog Ordinance No. 6.08. Changes in wording for some of the dog ordinances are being implemented to give the ordinance more clarification and substance. City leaders say the modifications will justify increasing fines for violations. The new Manti City logo will become more visible soon. Funding was approved for the logo to be placed in various places of Manti City Hall. Several areas were suggested and a final decision will be made when the signage is ready. Soper reported that the Snow College Recycling Center had expressed the desire to expand their services and resources to accommodate the entire county. “The center is looking for support and ideas from individual cities to help accomplish this,” said Soper. He went on to explain that they do not have the resources to accomplish this on their own. On a final note, Soper reported that the Utah Division of Forestry, Fire and State Lands would like Manti City to enter into an agreement with them to clean up overgrowth, weeds and fire dangers around town to help mitigate wildland fire risk. Soper says this may help prevent a fire extending beyond the borders if there were to be a fire in Manti. “Look at what happened in Tennessee. We don’t want that happening here”, Soper said. GUNNISON—The Gunnison Valley Police Department (GVPD) governing board held its first meeting last week, approved bylaws, and agreed to appoint a chief by the end of January. Halliday explained he did want to work for the department, but won’t be available until he has completed more treatment for his Stage-4 cancer and is released by his doctors. Gunnison City leaders have promised Halliday that if he gets well enough to return to police work, the city will have a position for him. 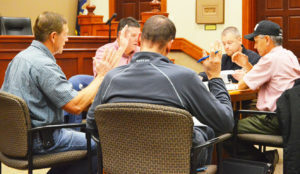 Because of all the effort and input Halliday had put into the interlocal policing agreement, Mayor Blackham said he hoped Halliday would attend as many of the GVPD board meetings as possible, acting almost as an advisory member of the board. Sorensen said he agreed with Halliday’s suggestion and that giving all officers in the department a chance to apply would reduce any perception of nepotism or favoritism in the appointment process. The board set a Jan. 27 deadline for any interested officer to turn in a letter of intent to apply. The board agreed that once a chief has been appointed, that chief would appoint a fifth member of the governing board, who could be from anywhere in the county. The panel also decided that after the chief’s appointment, it would designate board officers (chair, vice chair and secretary-treasurer). During the meeting, the board members also clarified where a suspect arrested by the GVPD would be prosecuted if the offense was not a state charge, such as a felony. According to Brett McCall, interim GVPD manager and Centerfield city manager, the two city justice courts were not part of the interlocal agreement. 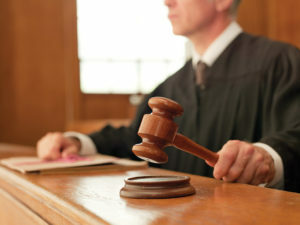 If someone committed a crime that was not serious enough to warrant prosecution in 6th District Courts (any Class-A misdemeanaor or felony goes to district court), Gunnison City Justice Court would prosecute violations occurring in Gunnison. Crimes of a similar degree committed in Centerfield City would continue to be handled by the Sanpete County Justice Court under an interlocal agreement between Centerfield City and Sanpete County. “Would there be a benefit or any savings to combining the court system as well?” Mayor Sorensen of Centerfield asked. Finally, the board briefly discussed combining Centerfield and Gunnison police records. Halliday said that each city had a separate account with the same company, eFORCE, and that, although it might be tricky, the department would benefit from merging their records. As the meeting came to a close, Blackham expressed his thanks to Sanpete County Sheriff Brian Nielson, who was at the meeting, for his input during the formulation of the interlocal policing agreement between Centerfield and Gunnison cities. “Sheriff we are very pleased with your support and contributions,” Blackham said. Nielson replied that he thought the two communities had done a smart thing by unifying their forces. I don’t care if 26 states have legalized so-called “medical marijuana” or if two neighboring states, Nevada and Colorado, have legalized recreational marijuana use. I hope Utah will not be so foolish as to tread down the same pathway. I have heard some of the anecdotes about marijuana being a tremendous help for chronic pain, PTDS, seizures, cancer and other problems. Great. Let’s have controlled studies and release marijuana derivatives as pharmaceuticals. I’ve also heard people argue that marijuana is no more dangerous than alcohol, that lots of people can use it in limited quantities with no adverse effects. But my observation, which I admit is based on personal experience with people who use or have used marijuana, is that more often than not, pot is a problem. Since marijuana frequently causes problems for users and society, why make it easier to use by legalizing it. I believe the fact that it is illegal is a barrier to use for many people. But back to my personal experiences with users. One lady I know is in her 50s or 60s and has used marijuana pretty much daily all her adult life. When I first met her, I couldn’t figure out why she didn’t do a little better in finding and holding jobs, and in bringing in income. She raised a son as a single mom. He went into the military and did pretty well. But for several years after leaving home, he refused to communicate with his mother. Why? Because she had been high the whole time he had been growing up. Ultimately, this lady sold a nice house in Salt Lake City, took the cash and moved to a small farm in California where she could grow her own pot with little chance of detection. That’s where she’s been for at least 10 years. From what I hear, she doesn’t work much, if at all, so I’m not sure how she gets by. But the bottom line is that marijuana has been the controlling influence in her life. Another young man I know got off marijuana—and then relapsed. He got in a car in Salt Lake City and drove, sometimes at speeds exceeding 100 miles per hour, to Axtell. He got one speeding ticket on the way. From Axtell, he traveled north to Manti. The time was after 2 a.m. in the middle of the winter. Suddenly, he had a hankering to see if he could drive up the side of Temple Hill. He ended up high-centering his vehicle very near the edge of a precipice. Fortunately, the car didn’t roll down the hill with him in it. But the vehicle was destroyed, and the young man ended up with charges. In another case, a person who had used pot multiple times per day for several years quit. Almost immediately, he was plagued with paranoid thoughts. People were looking at him. They were talking about it. I decided to do a quick search on WebMD, an authoritative health website. I found out that paranoia is a common withdrawal effect. The thing that stood out was a statement on the site that 75 percent of people who try to quit smoking marijuana go back on it in order to stop the effects of withdrawal. It can take months after cessation for those effects to go away. Recently, the Utah Medical Association (UMA) published an article in the association magazine about medical marijuana. Dr. Robert Armstrong at the Manti Clinic gave me a copy. The main point was that whole-plant marijuana is not medicine because it has never been studied or approved for any medicinal use. The article cites two drugs containing tetrahydrocannabinol (THC), the compound in marijuana that produces the high, that were approved by the FDA in the mid-1990s and can be prescribed for nausea and pain. Another drug using cannabinol, another substance from the marijuana plant, is being studied, but while research is going on, it can be prescribed for “compassionate” use. One of the study sites is the University of Utah. In 2014, the Utah Legislature approved very limited use of cannabis oil for children suffering from a specific type of epileptic seizure. Much as I sympathize with the parents, I agree with the UMA that legislators have no business approving drugs. Meanwhile, according to the Utah Medical Association article, eight other studies attempting to prove the value of marijuana derivatives have been terminated without a drug being approved. I’m not a doctor, but based on what I have observed and learned, I heartily agree. The 2017 legislative session began today at the Capitol in Salt Lake City. Twenty-nine Senators and seventy-five members of the House of Representatives convened for the first day of the constitutionally mandated 45-day session. During the next seven weeks, we will consider legislation from over 1300 open bill files. Utah is the envy of the country in many aspects. When it comes to transparency, our state is second to none. Every comment, action and vote are live for public view. Please follow bills of interest, listen to committee hearings and watch live Senate/House chamber debates. 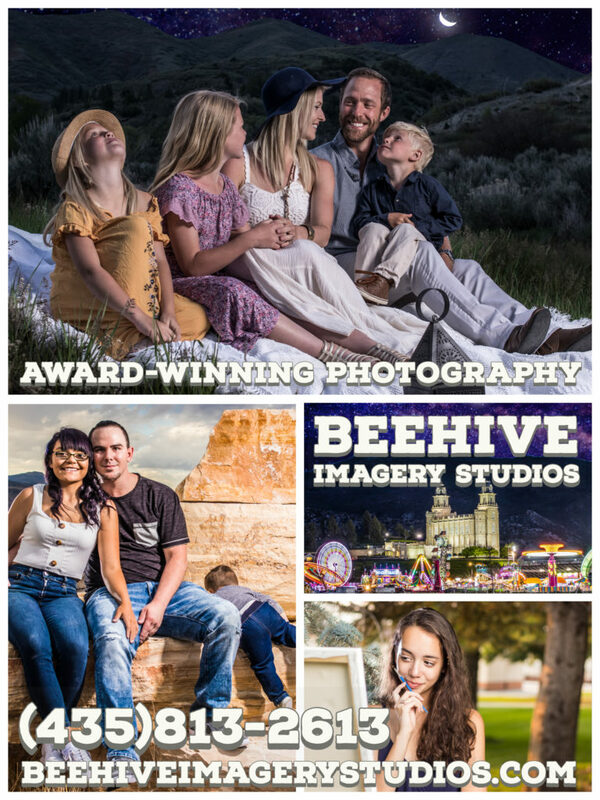 Find legislative contact information plus a wide host of other services at le.utah.gov. Each session seems to develop a life of its own. This year will include continued efforts to push back against federal overreach and hopefully see the new administration overturn the latest land grab of the Bears Ears National Monument. Like most citizens, I was upset when I heard the news on Dec. 28 that former President Obama had signed over another 1.35 million acres of Utah land to another national monument. Over 108,000 acres of the new monument was state school trust land property. East of Colorado there isn’t a state with more than 5 percent federally controlled land. Utah is under almost 70 percent federal control. It is remarkable how we have flourished, but it can’t be sustained on only 30 percent of our real estate. It would be funny if it weren’t true, but the picture Mr. Obama tweeted when he signed the Bears Ears monument designation was of Arches National Park. Very sad and out of touch! This session will also see legislation considered about a variety of topics from education, medical, Little Sahara’s possibility to become a State Park, convention of states, medical marijuana, taxation, agriculture, renewable energy, homelessness, water, clean air and environmental issues and much more. Also, follow “Miley’s Bill” inspired by a little girl in Manti to see if it is signed into law to make Utah the second state with a Child Abuse Registry. I appreciate the honor of representing Juab and Sanpete counties. Alesha Mae Hurst has been called to teach the gospel of Jesus Christ to the people of Yakima, Washington, in the Spanish language. She enters the Mexico Missionary Training Center on Tuesday, Jan. 31, 2017. She will be speaking in the Fountain Green chapel at 9 and 11 a.m. on Sunday, Jan. 29, 2017. Alesha is the daughter of Gary and Mary Hurst of Fountain Green, and the granddaughter of Glade and Judy Hurst of Taylorsville and Glenn and Barbara Christian of Muskegon, Michigan. 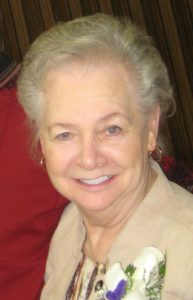 On Saturday, Jan. 21, 2017, our beloved mother, VeLois Nielson Carbine slipped peacefully away at her home in Santa Clara, Utah, surrounded by her daughters. VeLois graduated from Manti High School and earned an Associate of Arts degree from Snow College in Ephraim, Utah where she became Dean of Women. 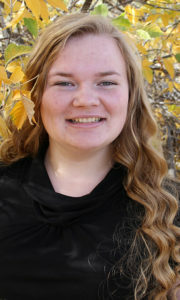 She then earned a Bachelor’s degree in education with a minor in music from Brigham Young University in Provo, Utah. Music was an integral part of her life. Her love of music was infectious; and she instilled that love of music in all those whose lives she touched. She sang in operas and musicals; and starred in and directed plays, shows and productions throughout her life. In September 1954, she married Dennis D. Carbine in the Manti Temple. He whisked her off on adventure after adventure all around this beautiful world. It was the “love of a lifetime” and their honeymoon never ended. From Montana to California to Iowa they travelled across the states and landed on the European continent, where they experienced different cultures for 12 years while living in various countries. After 18 years in Anaheim, California; they retired to southern Utah where they enjoyed views of the red mountains for the last 20-plus years. VeLois raised and cherished five daughters. She inspired and taught them to love the gospel, be good homemakers, sing, and to have fun in life. She had a deep and powerful testimony of the gospel and served in multiple capacities throughout her life. 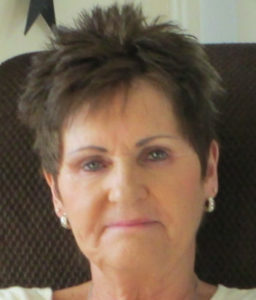 She was preceded in death by her husband, Dennis D. Carbine, her daughter Jennifer, her granddaughter Annie Haggard; her six siblings Errol (Elsie) Nielson, Eve Nielson, Lynn (Shirley) Nielson, Martha Alice (Billy Duncan), Margaret (Albert Peterson/Con Keller), John Henrie (Renae) Nielson and her parents, John R. and Alice Johnson Nielson. VeLois is survived by four children: Melory (Mark Haggard), Orem, Marla (Richard Irvine), Vista, Calif., Pamela, Cheyenne, Wyo., Jelana (Tom Quinonez), Mt. View, Calif., and son-in-law Sam Penrod, Oceanside, Calif.; her seven grandchildren: Nathaniel, Daniel-Jon, Matt, Jacob, Matthias, Amanda Joy and Eli; and her 10 great-grandchildren: Meleah, Aaron, Steven, Sarah, Christopher, Lincoln, William, Phillip, Madeleine and Lucy. Funeral services will be held at 4 p.m. on Friday, Jan. 27, 2017 at the Santa Clara 7th Ward LDS chapel on 3815 West Rachel Drive in Santa Clara, Utah. There will be a viewing prior to the service from 2:30 p.m. to 3:30 p.m.
On Saturday, Jan. 28, 2017 additional services will be held in Manti, Utah. A viewing will occur from 11:30 a.m. until 12:30 p.m. at the Manti LDS Chapel on 300 South Main Street. The interment will follow at 1 p.m. at the Manti Cemetery. At 2 p.m., a musical memorial service will be held at the Manti Chapel. Arrangements are made by Spilsbury Mortuary in St George, Utah. Friends and family are invited to sign VeLois’ guest book at: bit.ly/velois. Mitzi Ann Olsen, 61, of Centerfield, passed away on Jan. 19, 2017. She fought a brave and valiant battle with ovarian cancer. She was born March 12, 1955 in Mt. Pleasant, Utah to Boyd H. and Jerry Buchanan Olsen. She was married and sealed to the love of her life, Von D. Olsen in Sept. 27, 1974 in the Manti Temple. She worked with the Sanpete School District for 25 years in the school lunch program. Mitzi loved spending time with her family on family camping trips, girls’ day out, concerts, family get-togethers and watching her grandkids at their many events. She was our rock. If there was something wrong with anyone, she set out to fix it. She will be missed more than words can say. Mitzi is survived by her husband, Von of Centerfield; children: Heather (John) Zarate, Provo; Brandie (Rodney) Butcher, Gunnison; Kristy (Brady) Baker, Salina; Cody (Sharon) Olsen, Centerfield; Amy (Scott) Christensen, Centerfield; mother, Jerry (Jack) Steck; siblings: Scott (Kathy) Olsen, Debra (Kim) Squire, Gary (Deanna) Olsen; and 17 grandchildren who were the light of her life. She was preceded in death by her father. Funeral services were held Monday, Jan. 23, 2017 at 11 a.m. in the Centerfield 2nd Ward Chapel, with viewings on Sunday evening and prior to the funeral on Monday. Burial was in the Centerfield Cemetery. MT PLEASANT—North Sanpete High School faculty and staff recognized some of the school’s outstanding students at a special ceremony held Thursday, Jan. 19. The student body and parents filled the auditorium as various faculty and staff members announced the students who he or she felt were deserving of such awards. “We have so many great students here at North Sanpete, and it’s a pleasure to get to honor some of them,” Brad Bentley, NSHS science teacher, said. The school awarded students with certificates of achievement across a broad spectrum of categories, including ACT 30+, an award reserved for students who scored 30 or higher on the ACT, a college readiness exam. Honoring outstanding students has been a long-standing tradition at NSHS, although the event had been previously held in the evening with only parents and loved ones in attendance. It was only two years ago that administrators, faculty and staff decided to hold the ceremony during school hours so they could recognize students in front of the entire student body. Assistant Principal Jeff Erickson told the students about the “determination and grits” that is required to rise above in each of the departments and classrooms, and congratulated the recipients in closing. According to Erickson, students will be recognized once again at another semester awards assembly later in the school year, possibly in May.